I have used the brutal 20 rep squat routine in the past for strength muscle gains it was great i get butterflies thinking of it cause it was a battle. What you do is start not too heavy a good challenging weight you do 20 reps 1 set only no matter how hard or long it takes you have to get 20 reps.In the past i did this program on mon-wed-fri. I started the program with 185lbs. x 20 i ended it doing 275lbs. x 30 reps.I added 5lbs. every workout for the 20 rep squats. 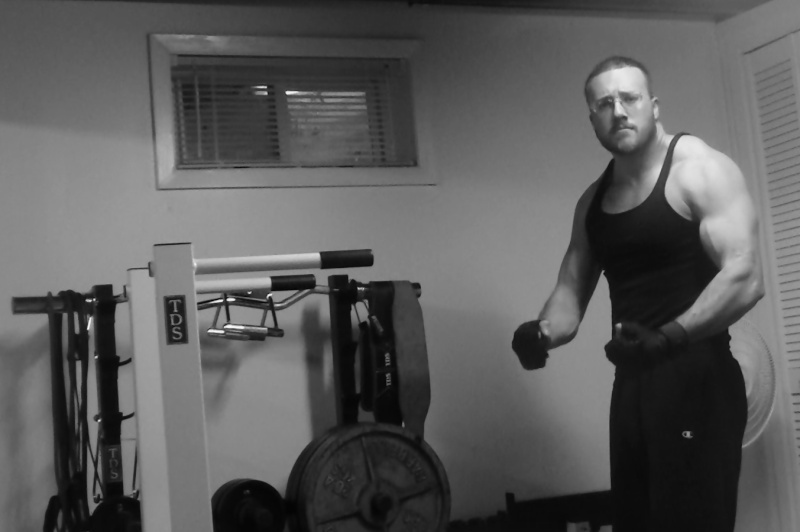 This time around i will start the program with 205lbs. x 20 reps starting this sunday i will do it. I will make it harder though, so i will be doing this every single day right before bedtime adding 5lbs. daily. No matter what i will get the 20 reps i rather my legs fail i fall and the bench breaks, so for me not to get it it wasn't my fault just my body hit its limit. If i happen to hit a wall say i end up with 315lbs. x 15 reps failed i will wait and do the remaining 5 reps.I will keep at the failure weight until i can do 20 reps again then keep on increasing 5lbs. from there. This is one of the most brutal sets in the world to me, when u got a weight u can only do 10 but get 20 the gains are impossible to avoid.I will be stronger everywhere eventually just will take hard work cause 6days from day 1 will already be 275lbs.x20. So the plateau will prob happen in a little over a week. I won't count this as training this will just be the regular like how you brush your teeth before bed i will just do 1 set of squats before lights out. Well as u said when pushing too hard the gains are impossible to aviod but u know very well that by failing hard too much and too frequently maybe lead to over-training(CNS problems), im pretty sure u ll understand when it comes as it happened to u many times already. Anyway go for it, im w8ing response in ur progression with this method PLUS its really motivating when u know that there are people working really hard!!! haha. Yea i just don't care about the CNS over training thing. I am starting tonite, i will be lucky if i make it over 1month mark. I forgot i have squat stand safety racks that i never really used, so now i can go till i collapse in the later days worst case. they are wobbly tho. The increased hormones from the stress of the squats is where the gains will be, in long the whole body becomes stronger. Hi loo, all the best of luck to you - you are a true warrior. 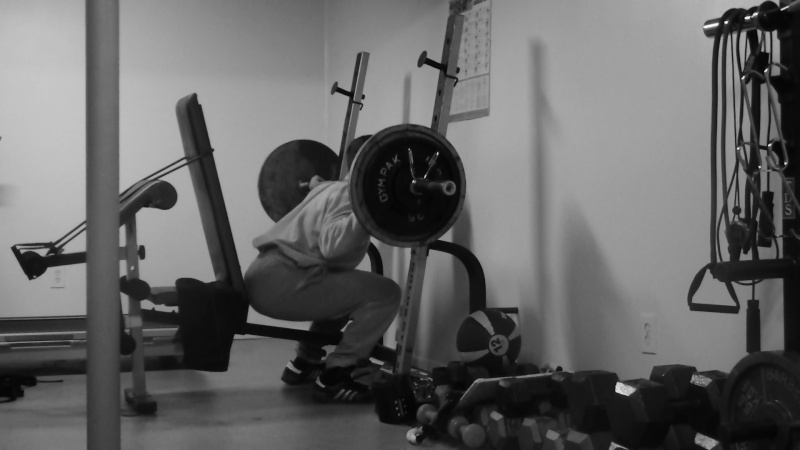 Do you know if such routines can be used but switching the standard squat for a bulgarian squat? i am absolutely rubbish at squatting and with some past back issue so standard squat is a no go for me. nice one Loo!!! I just copied & pasted it!!! DC Thanks. First try to fix/heal your back up so u can do the heavy back squat for gains. If you can't the next best to me is the front squat holding either a dumbbell,stone, or bar w/ weights in front of you.The front squat is harder on the leg muscles ,easier on the knee joint, and works your inner core/lower back, is a little easier on your back cause the weight isn't placed on your back. You should learn the front squat. Beast, thanks this will be a tough one i din't start yet i will start like i said on sunday. At about the 10 day mark the mental challenge will kick in cause i will know how brutal the previous session was and know the future sets will only get harder.I will prob dread it at some point but i will try my hardest when i feel that way.If i end up stalling badly say 320x20 i will stay there a few days till easy then move up. Say what?? 20 rep squat routine?? Everyday before bed?? Starting this tomorrow!! Say No More!! Jono def man.I will prob plateau a some around Day20, cause the daily sets of 300+lbs. x 20 are the ones that will make you sore every day & tired that's when the fatigue kicks in a lot more.Still don't care not suppose to be easy. I know its early mean nothing i will check in to keep track .I started Monday. I will make a minor adjustment i will do these squats late in the day not before bed, dont feel like smelling like animal even in sleep.1 set i smell. loo do an ice bath everyday before bed. Maybe it helps !!! When u go extreme on ur workout i guess it helps to go extreme in ur recovery methods too. If you were wondering this is where the squats get done no spotter no nothing i got safety stands if it gets bad.This is where i am at. Day4=220x20 shown in the picture. I messed up yesterday i took late nap with intentions of waking up then doing the 215 set. I woke up next day 3:30a.m. i did the set no warmup nothing in coma state, did huge workout i just did this 220 set after a massive deadlift session.No matter what i got to get these in even if i double up. This is where i am at now, i feel once i get over the 250+mark it will be a struggle daily.I feel it already cause i still do weighted runs,deadlifting,atlas stones so i am never 100% will see how far i can go.I won't use my safety stands until i reach 260+mark. 2These 2weeks went by fast.I am on day 13, yesterday was the most challenging day because of the brutal deadlifting i did the day before i could only imagine how hard this will be next week if i make it. So far my deadlifts are increasing, each set i can do more consecutive reps with heavy weight w/less effort,y pullups & dips are more explosive,overall running ability is increasing.So far i feel stronger than before and i am no where near in a recovered state. I almost feel like just jumping to 300, but then i will loose the real gains that where built step by step experiencing each weight. I got to stay patient and strong cause todays set will be hard. Yesterdays set took me 2minutes to complete first 9 were consecutive then 1-3s to get the 20.This is full force effort don't feel good now, but it will later. Day13=260x20 - I didn't do this set yet, this is for sometime later on. Here is my current, higher Body weight, higher reps on basics,i am able to move more weight in calis and on the bar,weighted runs are more efficient than before,lower body is changing also. Got 5more to gain i don't need to be heavier yet i am 195lbs. in the morning dry weight. Nice!!! Im about to make a sandbag & will copy & paste this & use for my front squats/squats!!! Thanks, u can do that but how you need to add weight daily to it somehow to keep adding the stress while the reps stay at 20.Or you could do the opposite and keep the same weight but adding 5 reps per day count consecutive reps only though. My 260lb.set yesterday was brutal shots and squats don't mix, i never warmup i just load the bar fully and go.The set took about 3minutes to give you an idea how hard it was. Yea no prob man look forward you doing a video with it or some pics. But can u do me a favor i respect you but can u not post another mans saying,video, or anything on my threads and hopefully anyone else. I don't mind anything you have to say , your thoughts or your views. But let the man himself come here and post his info, his thoughts,his vids not through you.I will be honest it does annoy me .I hope you can respect my honesty and not take this in a negative way.Train hard man! The rigors, gets hard sometimes. Day14=270x20 Almost couldn't do this set cause my knee, few drinks didnt help.Took over 3minutes to complete 1 set legs knee shaking i almost fell backwards, the deadlifts before this day made it almost impossible. I have not gone past DAY14-270x20 due to a left knee injury that was lingering before this program even started.But i am stubborn so i continued to train. I took the days off no leg training but i increased my deadlift training to a new level to fill the gap of the gains i could have been getting from the squats i am now repping my whole weight set 460lbs. for high reps 10+and high volume 10+sets now. Overall i am stronger than before the squat program. I worked out a few weak links in the hamstrings from the deadlifting, i also worked out some weak links in knee/quads from the squatting. I now took the past 2 really 3 days off fully which i never do. My body seems for once at max performance feels strange. Its now time to get real serious no more bull s**t so i will alter the whole program fully.Those 14 consecutive squat days have boosted my strength/endurance capacity.So i will now jump to 300lbs. even starting tomorrow. I will only do 5 reps, and keep increasing by 1 rep per day but i will stay at 300lbs,My goal is to get very strong with this weight only i want 30 reps with 300lbs. For this to happen i will have to lower the volume big time with the deadlifting. So i will buy another 100lbs. of plates and start some real heavy low rep deficit training in the range of 500-600.5 sets at most 1-3 reps that's it done. In the meantime i will take my calisthenics to a whole new level i am thinking of a completely new routine that will be the hardest routine i ever done a mix of strength/endurance in a whole new way though..I am thinking of alot of things i need to do something for core i been doing atlas stone planks with people on stones but its not enough will add 4 weighted vest with plates in back pack and 180lbs. of resistance bands. I am also still in the process of building 2 things i made the blue prints.I wont say what 1 of them is but the other will be Concrete farmer walks weighing 300lbs. each and loadable this will build true body power.The other is very unique and will build the strength of the body further. I will of course mix these extremes with a tremendous amount of calisthenics. 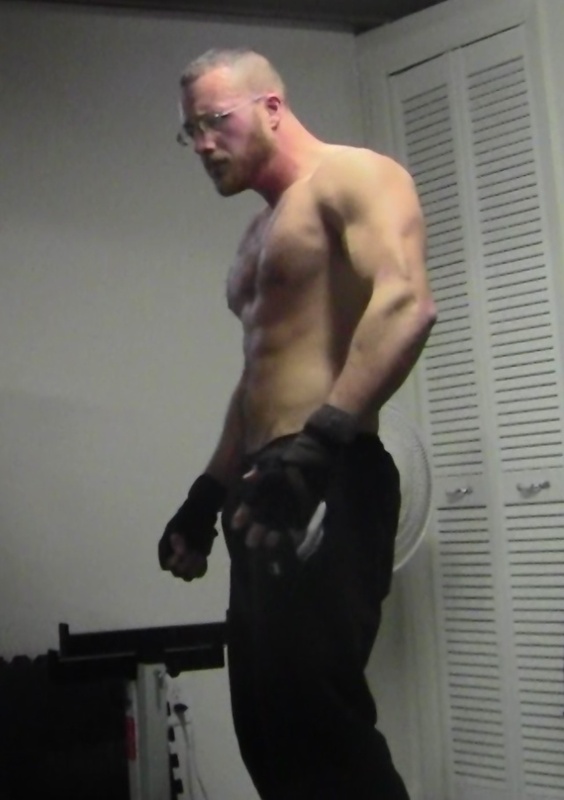 193lbs. mid workout no food, water, dry weight. I am 23lbs. heavier than last years 170 it was hard work but i have more strength and endurance than when i was lighter. I trained strength/endurance together to not be sluggish at heavier weight, i can move heavy weights much easier at this weight also.Just trying to keep a balance.